Abdallah L, Bonasera SJ, Hopf FW, et al (2009) Impact of serotonin 2C receptor null mutation on physiology and behavior associated with nigrostriatal dopamine pathway function. J Neurosci 29:8156-8165. Abramowski D, Rigo M, Duc D, Hoyer D, Staufenbiel M (1995) Localization of the 5-hy-droxytryptamine2C receptor protein in human and rat brain using specific antisera. Neuropharmacology 34:1635-1645. Aso E, Renoir T, Mengod G, et al (2009) Lack of CB(1) receptor activity impairs serotonergic negative feedback. J Neurochem 109:935-944. Barnes NM and Sharp T (1999) A review of central 5-HT receptors and their function. Neuropharmacology 38:1083-1152. Boothman L, Raley J, Denk F, Hirani E, Sharp T (2006) In vivo evidence that 5-HT(2C) receptors inhibit 5-HT neuronal activity via a GABAergic mechanism. Br J Pharmacol 149:861-869. Cassel JC, Jeltsch H (1995) Serotonergic modulation of cholinergic function in the central nervous system: cognitive implications. Neuroscience 69:1-41. Clemett DA, Punhani T, Duxon MS, Blackburn TP, Fone KCF (2000) Immunohistochemical localisation of the 5-HT2C receptor protein in the rat CNS. Neuropharmacology 39:123-132. De Deurwaerdere P, Navailles S, Berg KA, Clarke WP, Spampinato U (2004) Constitutive activity of serotonin2C receptor inhibits in vivo dopamine release in the rat striatum and nucleus accumbens. J Neurosci 24:3235-3241. Di Giovanni G, De Deurwaerdere P, Di Matteo V, Di Mascio M, Esposito E, Spampinato U (1999) Selective blockade of serotonin2C/2B receptors enhances mesolimbic and mesostriatal dop-aminergic function: a combined in vivo electrphysiological and microdialysis study. Neuroscience 91:587-597. Di Matteo V, Di Giovanni G, Di Mascio M, Esposito E (1998) Selective blockade of serotonin2C/2B receptors enhances dopamine release in the rat nucleus accumbens. Neuropharmacology 38:1195-1205. Di Matteo V, De Blasi A, Di Giulio C, Esposito E (2001) Role of 5-HT2C receptors in the control of central dopamine function. Trends Pharmacol Sci 22:229-232. Dremencov E, Weizmann Y, Kinor N, Gispan-Herman I, Yadid G (2006) Modulation of dop-amine transmission by 5HT2C 5HT3 receptors: a role in the antidepressant response. Curr Drug Targets 7:165-175. Eberle-Wang K, Mikeladze Z, Uryu K, Chesselet MF (1997) Pattern of expression of the sero-tonin2C receptor messenger RNA in the basal ganglia of adult rats. J Comp Neurol 384:233-247. Fitzgerald LW, Iyer G, Conklin DS, et al (1999) Messenger RNA editing of the human serotonin 5-HT2C receptor. Neuropsychopharmacology 21:82S-90S. Heisler LK, Pronchuk N, Nonogaki K, et al (2007) Serotonin activates the hypothalamic-pituitary-adrenal axis via serotonin 2C receptor stimulation. J Neurosci 27:6956-6964. Hoffman BJ, Mezey E (1989) Distribution of serotonin 5-HT1C receptor mRNA in adult rat brain. FEBS Lett 247:453-462. Hoyer D, Engel G, Kalkman HO (1985) Molecular pharmacology of 5-HT1 and 5-HT2 recognition sites in rat and pig brain membranes: radioligand binding studies with [3H]5-HT, [3H]8-OH-DPAT, (-) [125I]iodocyanopindolol, [3H]mesulergine and [3H]ketanserin. Eur J Pharmacol 118:13-23. Hoyer D, Pazos A, Probst A, Palacios JM (1986) Serotonin receptors in the human brain. II. Characterization and autoradiographic localization of 5-HT1C and 5-HT2 recognition sites. Brain Research 376:97-107. Hoyer D, Clarke DE, Fozard JR, et al (1994) International Union of Pharmacology classification of receptors for 5- hydroxytryptamine (Serotonin). Pharmacol Rev 46:157-203. Julius D, MacDermott AB, Axel R, Jessell TM (1988) Molecular characterization of a functional cDNA encoding the serotonin 1c receptor. Science 241:558-564. Julius D, Huang KN, Livelli TJ, Axel R, Jessell TM (1990) The 5HT2 receptor defines a family of structurally distinct but functionally conserved serotonin receptors. Proc Natl Acad Sci USA 87:928-932. Kondo Y, Ogawa N, Asanuma M, et al (1993) Regional changes in neuropeptide levels after 5,7-dihydroxytryptamine-induced serotonin depletion in the rat brain. J Neural Transm Gen Sect 92:151-157. 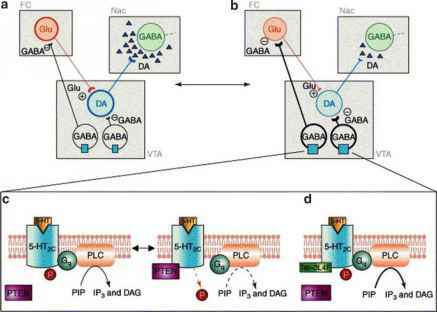 Liu R, Jolas T, Aghajanian G (2000) Serotonin 5-HT2 receptors activate local GABA inhibitory inputs to serotonergic neurons of the dorsal raphe nucleus. Brain Res. 873:34-45. Liu S, Bubar MJ, Lanfranco MF, Hillman GR, Cunningham KA (2007) Serotonin2C receptor localization in GABA neurons of the rat medial prefrontal cortex: implications for understanding the neurobiology of addiction. Neuroscience 146:1677-1688. Lopez-Gimenez JF, Mengod G, Palacios JM, Vilaro MT (2001) Regional distribution and cellular localization of 5-HT2C receptor mRNA in monkey brain: comparison with [3H]mesulergine binding sites and choline acetyltransferase mRNA. Synapse 42:12-26. Lopez-Gimenez JF, Vilaro MT, Palacios JM, Mengod G (2001) Mapping of 5-HT2A receptors and their mRNA in monkey brain: [3H]MDL100,907 autoradiography and in situ hybridization studies. J Comp Neurol 429:571-589. Lopez-Gimenez JF, Tecott LH, Palacios JM, Mengod G, Vilaro MT (2002) Serotonin 5- HT (2C) receptor knockout mice: autoradiographic analysis of multiple serotonin receptors. J Neurosci Res 67:69-85. Lubbert H, Hoffman BJ, Snutch TP, et al (1987) cDNA cloning of a serotonin 5-HT1C receptor by electrophysiological assays of mRNA-injected Xenopus oocytes. Proc Natl Acad Sci USA 84:4332-4336. Mengod G, Nguyen H, Le H, Waeber C, Lubbert H, Palacios JM (1990) The distribution and cellular localization of the serotonin 1C receptor mRNA in the rodent brain examined by in situ hybridization histochemistry. Comparison with receptor binding distribution. Neuroscience 35:577-591. Mengod G, Pompeiano M, Martinez-Mir MI, Palacios JM (1990) Localization of the mRNA for the 5-HT2 receptor by in situ hybridization histochemistry. Correlation with the distribution of receptor sites. Brain Res 524:139-143. Molineaux SM, Jessell TM, Axel R, Julius D (1989) 5-HT1c receptor is a prominent serotonin receptor subtype in the central nervous system. Proc Natl Acad Sci USA 86:6793-6797. Navailles S, De Deurwaerdere P, Porras G, Spampinato U (2004) In vivo evidence that 5-HT2C antagonist but not agonist modulates cocaine-induced dopamine outflow in the rat nucleus accumbens and striatum. Neuropsychopharmacology 29:319-326. Niswender CM, Sanders-Bush E, Emeson RB (1998) Identification and characterization of RNA editing events within the 5-HT2C receptor. Ann NY Acad Sci 861:38-48. Palacios JM, Waeber C, Mengod G, Pompeiano M (1991) Molecular neuroanatomy of 5-HT receptors. 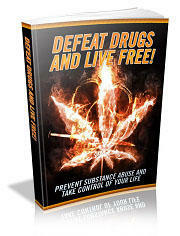 In: Fozard JR, Saxena PR, eds. Serotonin: Molecular Biology, Receptors and Functional Effects, Basel: Birkhäuser Verlag, 5-20. Pasqualetti M, Ori M, Castagna M, Marazziti D, Cassano GB, Nardi I (1999) Distribution and cellular localization of the serotonin type 2C receptor messenger RNA in human brain. Neuroscience 92:601-611. Pazos A, Palacios JM (1985) Quantitative autoradiographic mapping of serotonin receptors in the rat brain. I. Serotonin-1 receptors. Brain Res 346:205-230. Pazos A, Hoyer D, and Palacios JM (1984) The binding of serotonergic ligands to the porcine choroid plexus: characterization of a new type of serotonin recognition site. Eur J Pharmacol 106:539-546. Pazos A, Hoyer D, Palacios JM (1984) Mesulergine, a selective serotonin-2 ligand in the rat cortex, does not label these receptors in porcine and human cortex: evidence for species differences in brain serotonin-2 receptors. Eur J Pharmacol 106:531-538. Pazos A, Probst A, Palacios JM (1987) Serotonin receptors in the human brain. III. Autoradiographic mapping of serotonin-1 receptors. Neuroscience 21:97-122. Pompeiano M, Palacios JM, Mengod G (1994) Distribution of the serotonin 5-HT2 receptor family mRNAs: comparison between 5-HT2A and 5-HT2C receptors. Brain Res Mol Brain Res 23:163-178. Porras G, Di Matteo V, Fracasso C, et al (2002) 5-HT2A and 5-HT2C/2B receptor subtypes modulate dopamine release induced in vivo by amphetamine and morphine in both rat nucleus accumbens and striatum. Neuropsychopharmacology 26:311-324. Prichett DB, Bach AWJ, Wozny M, et al (1988) Structure and functional expression of cloned rat serotonin 5-HT2 receptor. EMBO J. 7:4135-4140. Prisco S, Pagannone S, Esposito E (1994) Serotonin-dopamine interaction in the rat ventral tegmental area: an electrophysiological study in vivo. J Pharmacol Exp Ther 271:83-90. Serrats J, Mengod G, Cortes R (2005) Expression of serotonin 5-HT2C receptors in GABAergic cells of the anterior raphe nuclei. J Chem Neuroanat 29:83-91. Tecott LH, Sun LM, Akana SF, et al (1995) Eating disorder and epilepsy in mice lacking 5-HT2C serotonin receptors. Nature 374:542-546. Ward RP, Dorsa DM (1996) Colocalization of serotonin receptor subtypes 5-HT2A, 5-HT2C, and 5-HT6 with neuropeptides in rat striatum. J Comp Neurol 370:405-414. Wright DE, Seroogy KB, Lundgren KH, Davis BM, Jennes L (1995) Comparative localization of serotonin1A, 1C, and 2 receptor subtype mRNAs in rat brain. J Comp Neurol 351:357-373. Zhelyazkova-Savova M, Giovannini MG, Pepeu G (1997) Increase of cortical acetylcholine release after systemic administration of chlorophenylpiperazine in the rat: an in vivo microdi-alysis study. Neurosci Lett 236:151-154. Zhelyazkova-Savova M, Giovannini MG, Pepeu G (1999) Systemic chlorophenylpiperazine increases acetylcholine release from rat hippocampus-implication of 5-HT2C receptors. Pharmacol Res 40:165-170.